Simply simple! 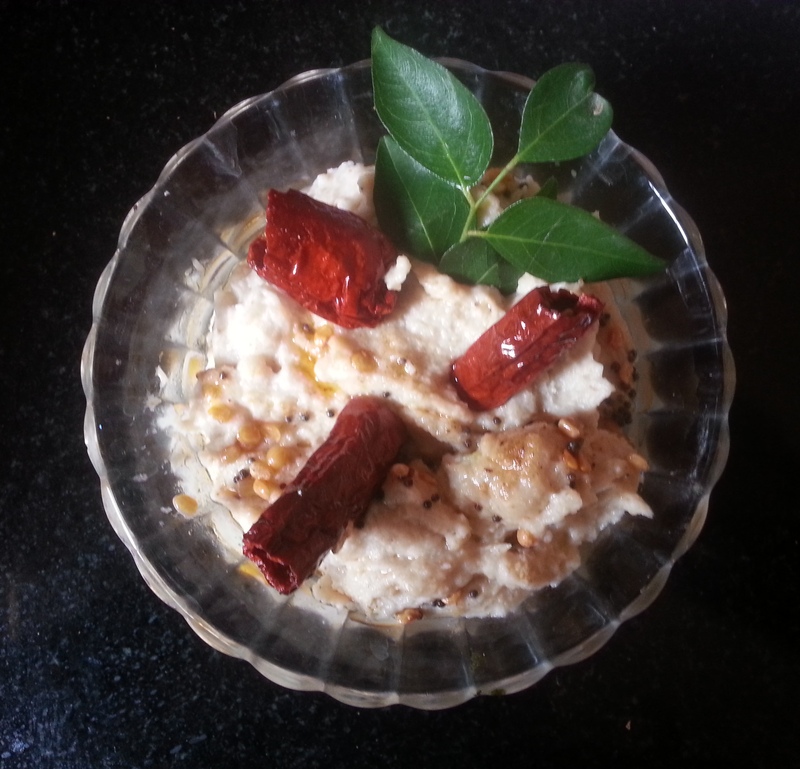 This rare yet delicious chutney, made out of raw banana picks as its pals dosas, idlis and hot steamed rice. This green little powerhouse is a rich source of fibre, vitamins, minerals and a high amount of resistant starch. Wash raw banana. Boil it along with about 250 ml. water in a pressure cooker without peeling the skin of the banana. Roast black gram and green chillies in a kadai till black gram turns golden brown. Grind these coarsely with raw grated coconut, tamarind paste and salt. Drain out the water and let the vegetable cool. Store the drained water in a container and reuse just the required quantity later while grinding. Remaining water can be used the same day for making soup, sambar, rasam etc. Now continue grinding with mashed banana to a coarse consistency. Transfer the contents to a bowl. Pour a little of the drained water into the grinder and run it for very few seconds. By doing this, you can collect the chutney that is still left in the grinder. Pour this also into the bowl. For seasoning, heat oil in a small skillet. When oil is heated, add mustard seeds. When they crackle, add black gram, broken red chillies, curry leaves (in that order). Switch off the burner. Immediately add asafoetida and pour it over the chutney. Raw Banana Chutney is now ready. Also view “Beetroot Chutney”, “Chayote Chutney”, “Ridgegourd Chutney”, “Spinach (Palak) Chutney”, “Onion Chutney” in this blog.